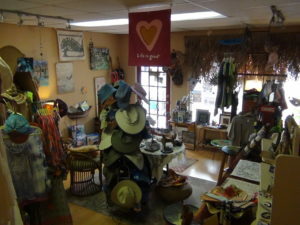 While you’re at Adventure Outpost waiting to paddle Santa Fe River or if you’re just strolling though downtown High Springs looking for some great outdoor gear, apparel or some local art or gifts, be sure to check out our Springs Republic store. 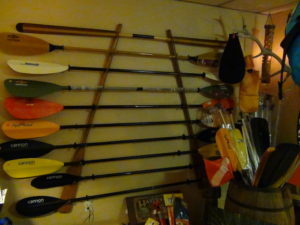 In addition to our Sales and Rentals of canoes, kayaks and paddling gear. We also sell canoe & kayak paddles,life vests (Pfd’s), dry bags, dry boxes, tubes, boat carts, sit-on-top seats, camping equipment and more. 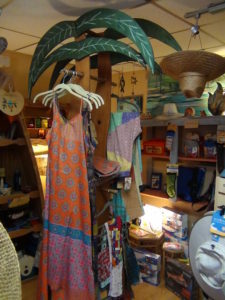 The Springs Republic store has gifts & apparel by Natural Life (apparel), Mermaid Life (accessories and apparel), Jelly Bean (rugs), Kudos (shoes), Nancy Andersen (beaded bands) and Jay jewelry. We’re also proud to sell (and decorate our walls with) paintings and photography of local artists. John Sterpe, Dave Dobbins, Elayne Dubin and others. We also carry a full line of paddle gear, like dry bags, dry boxes, waterproof cases for i-phones and cameras, deck bags, anchors, paddle floats, scupper pugs, sit-on-top seats, straps, car-topping pads and hardware for kayaks and canoes and more. We are an authorized dealer of several makes of top quality paddles, including Werner and Carlisle. We have carbon fiber, fiberglass, aluminum and wood models. 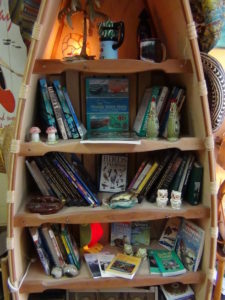 If you’re looking for field guides, maps, or books, we have a nice selection of titles covering all things Florida, such as Florida of birds, Springs, Geology, Local River lore and Florida history. 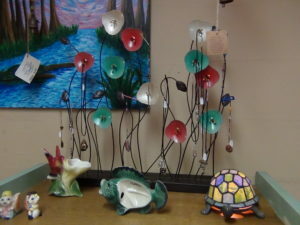 You’ll also find works by local authors like Bob Knight, Cynthia Barnett, Jack Putz and Jim Stevenson. If you prefer fiction, you’ll want to check out the works of local authors Sandra Lambert and Bob Simons. We are also a proud seller of the wonderful works of poet Lola Haskins. We would be reminisce not to mention the works of Adventure Outpost’s own Lars Andersen. Ask about his local history of Paynes Prairie or some of his guides to local waterways. When Christmas or a loved one’s birthday rolls around, you’ll do well to browse our shelves. 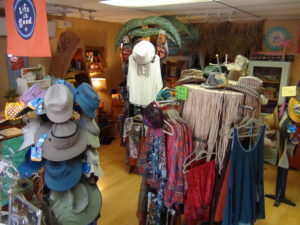 With Patsy’s eclectic eye, you never know what kind of fun/quirky goodies you’ll find along with more “normal” items like beaded bands by Nancy Andersen, jewelry, earrings, hats, T-shirts, water shoes and much, much more.